Polemic: Must former Lions always get involved in football matters? 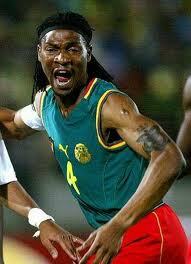 Rigobert Song obtaining a sports educator diploma, “Brevet d’Etat 1” , has recently made headlines. And so what, you will ask. Under normal circumstances, this shouldn’t have triggered any special interest or piece like this one but it has. The broadcasting of Rigobert song obtaining this diploma is unsettling to some of us because it fuels a myth, a fantasy and ultimately a dangerous convoy of illusions: former Lions must get involved in football matters. This notion is fundamentally erroneous and misleading because it rests on the shoulders of another myth: non-former players cannot manage football or a team. To those on this side of the pond, successful football management is the preserve of former players. It is worth saying at this point that this view has been proven wrong timelessly. Doubting Thomases like some of us would like to know how a decade and half of scoring goals in Europe helps one manage an institution. How does trying to stop flip-footed attackers help one squeeze the best out of a pack of emotionally and interest diverse humans? Some of us beg to differ. Former Indomitable Lions must not always have a hand in managing football matters. Non-sporters can successfully do that job. Rigobert Song or any other former Lion obtaining a diploma does not justify his coaching the national team one day. Any body can manage football they just need to get the job done when they get there.